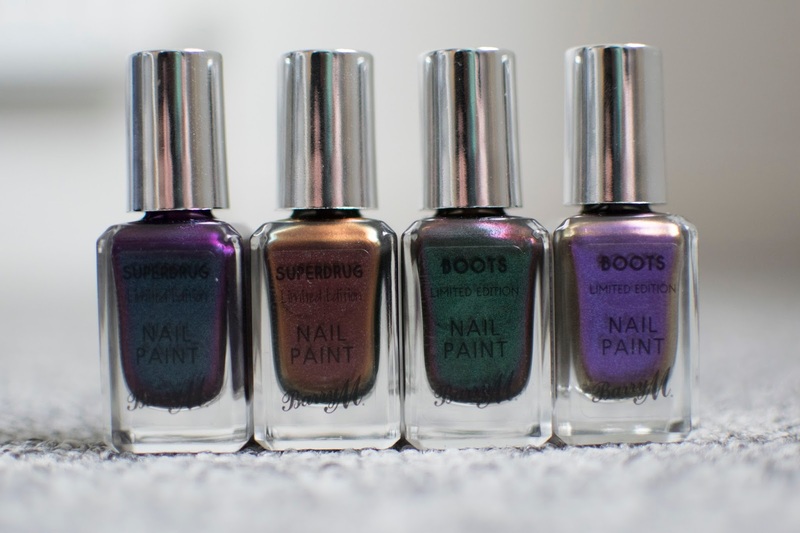 Barry M have recently release four new nail polishes, two exclusive to Superdrug and two exclusive to Boots. These duochrome polishes are very galaxy/space esque. Each of these polishes are £3.99 at there corresponding store. 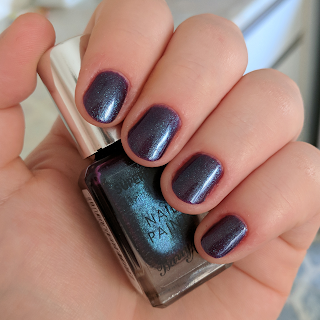 A purple polish with blue shimmer, very sheer/tranlusent coverage on first coat, better coverage after two coats but ideally needs three coats, applies better on top of a dark polish like a creme black. This is the polish from the collection with the most duo tone to it. This is my favourite of the four. A bronze/copper polish, this is the least 'duo' of all four polishes, in the bottle it shows a greeny colour but on the nail it doesn't show a lot. 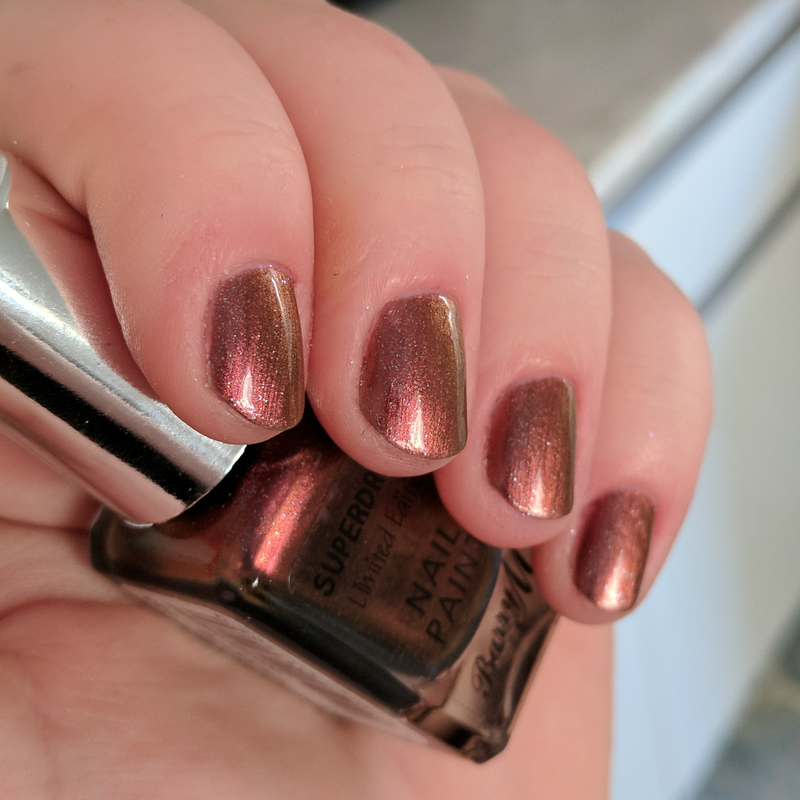 This is still a lovely copper metallic polish though. Is the most opaque of them all, only needs 2 thin coats. The sheerest of all four polishes, passable with 3-4 coats, but works great over a black polish. 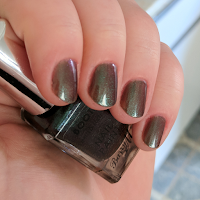 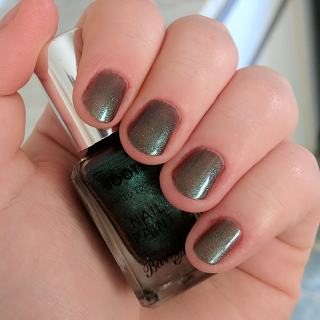 A unique green polish, with hints of purple/maroon/bronze to it. 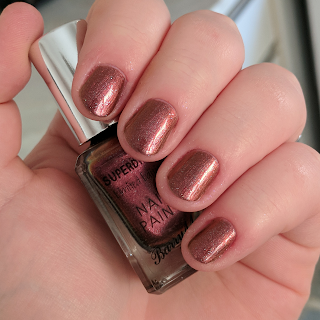 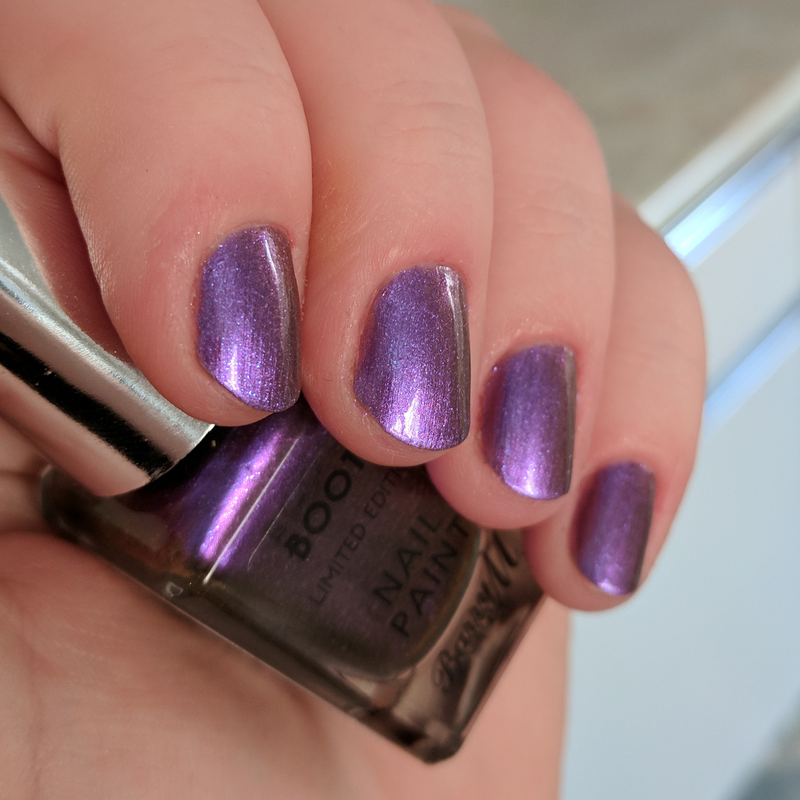 It is a really difficult polish to explain, and I love it because it is completely unlike anything else in my nail polish collection. 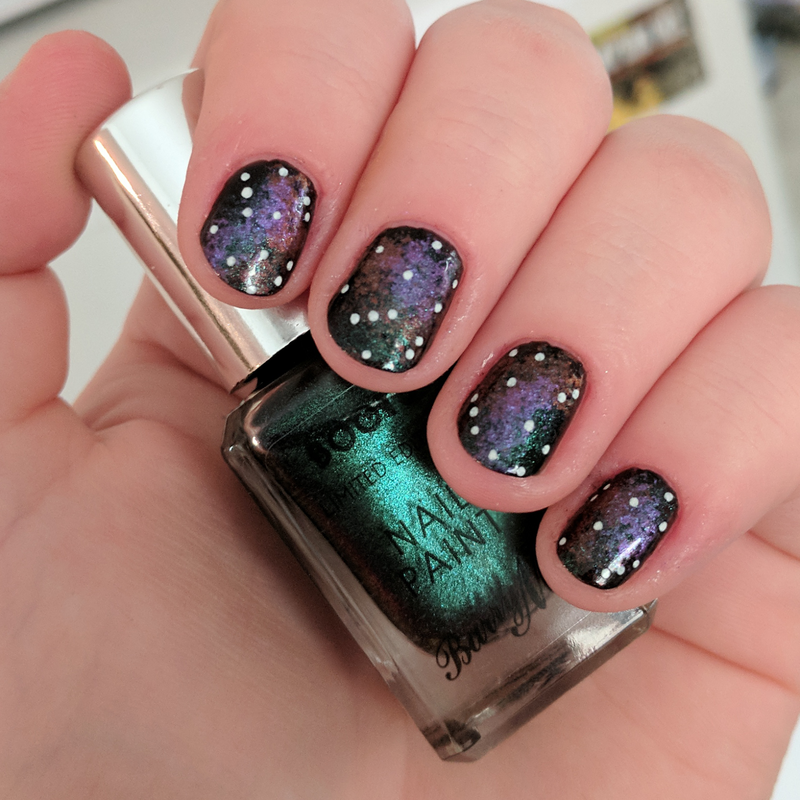 A great Halloween polish. 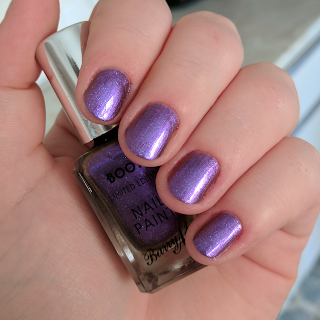 I lovely bright purple, with a greeny/golden shimmer in some lighting. 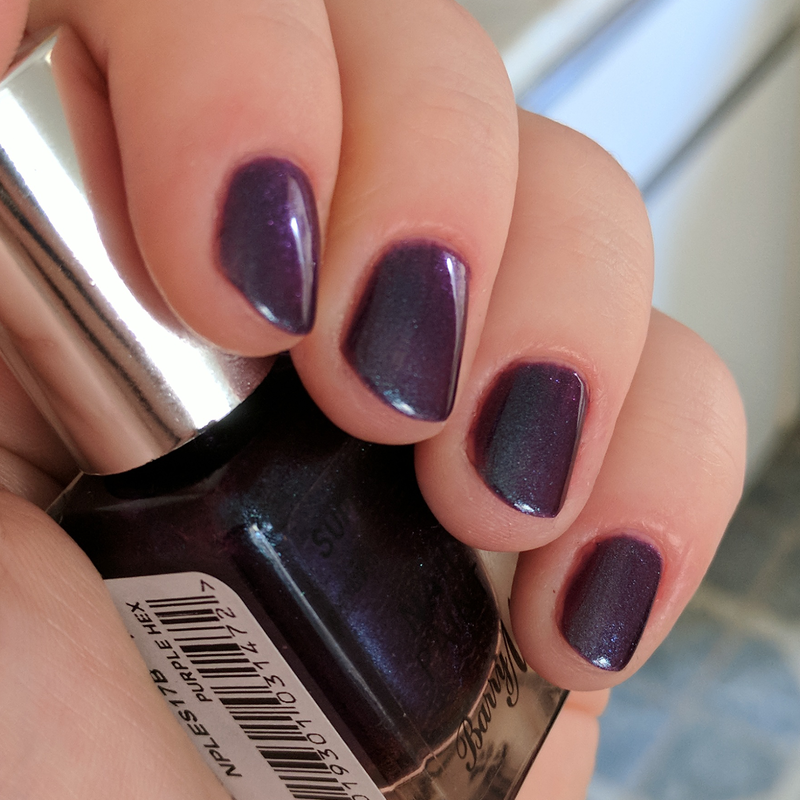 Very easy to apply and only needs 2 coats. The polishes are great for this time of year, purple and green colours for Halloween and glittery polishes are always a perfect choice for the ending months of the year. If you are looking to buy one of the Superdrug polishes my pick would be Purple Hex and if you are looking to buy one of the Boots polishes my pick would be Galaxy Green. If you want to buy one of the duos, my pick would be the two from Superdrug. 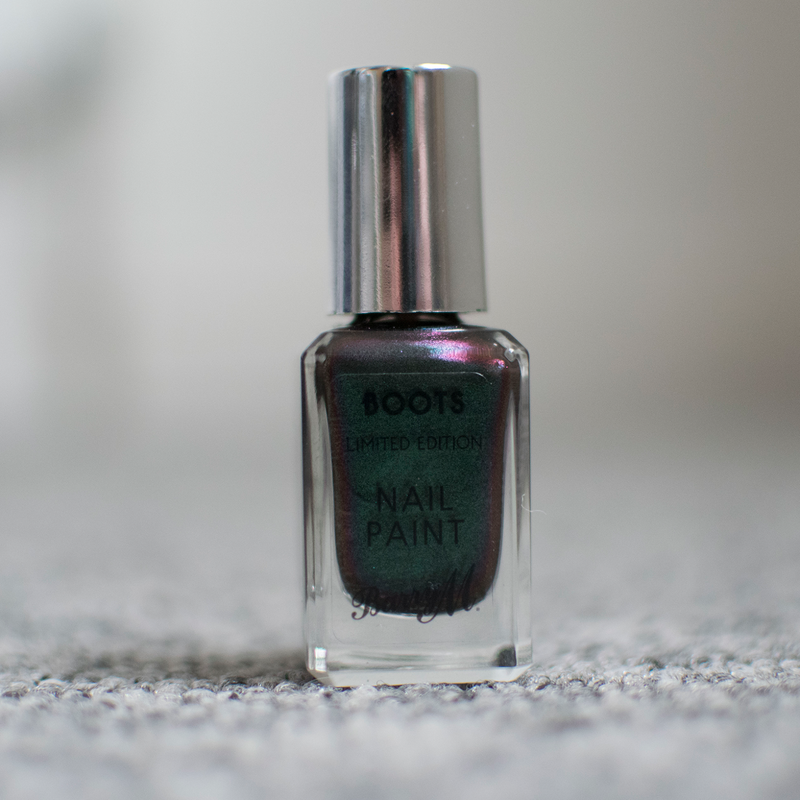 *WOTB: Which Ones To Buy. 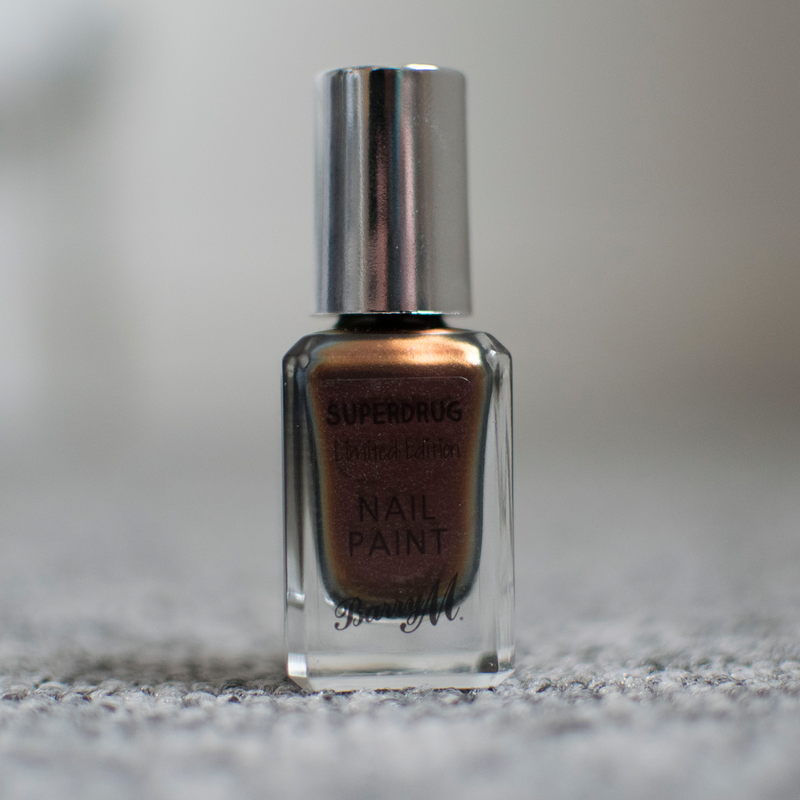 **Links to Superdrug are affiliate links, I will earn a few pennies from any purchase on those links. 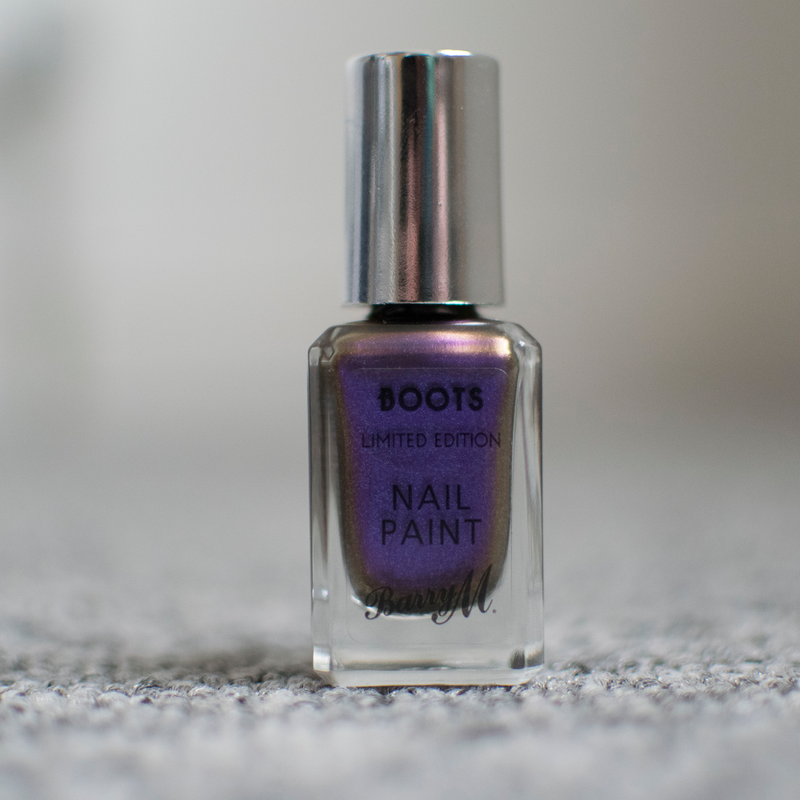 ***Boots do not have the polishes on their website as of posting this, but they are available in Boots stores.